We are here to offer the best deals in Quality Furniture with Zero Compromise on durability and Comfort. Our furniture meets international Standards and designed ergonomicallyomer Satisfaction at all levels of B2B and B2C Customers. Colour Options are available and available. Keeping in mind ever-evolving requirements of our respected clients, we are offering a premium quality range of Acrylic School Desk. 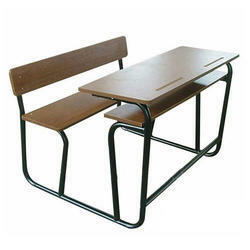 We offer a wide range of Three Side Closing Desk Bench . 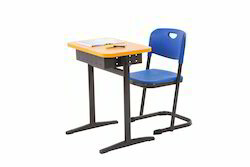 We are offering a quality range of Wooden Classroom Desk which is made of raw material and finest quality stainless steel. These products are designed as per the needs and requirements to ensure the satisfaction of esteemed clients.